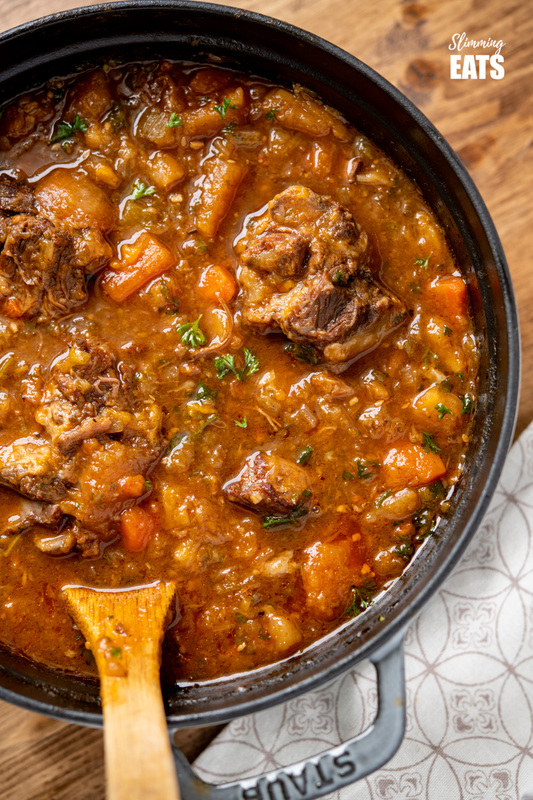 Hearty Oxtail Stew – fall off the bone tender oxtails cooked in a delicious vegetable packed broth that is just pure comfort in a bowl. 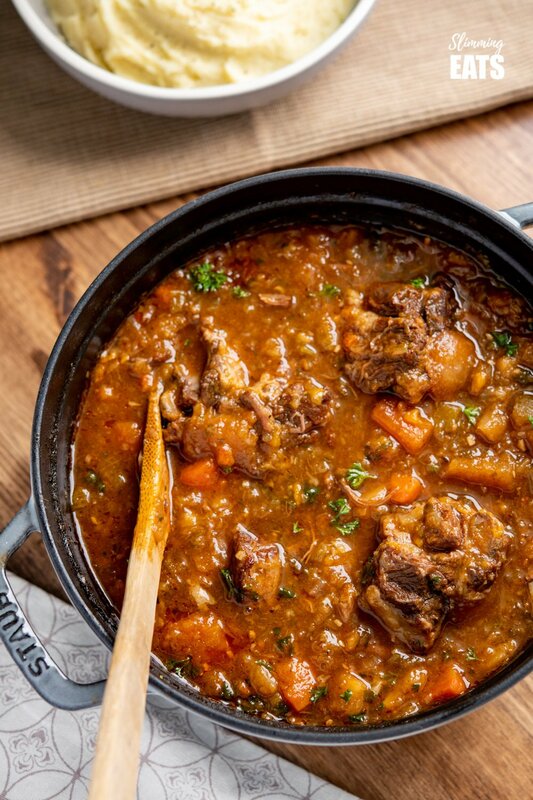 Oxtail Stew is a dish that instantly makes me think of my mum. 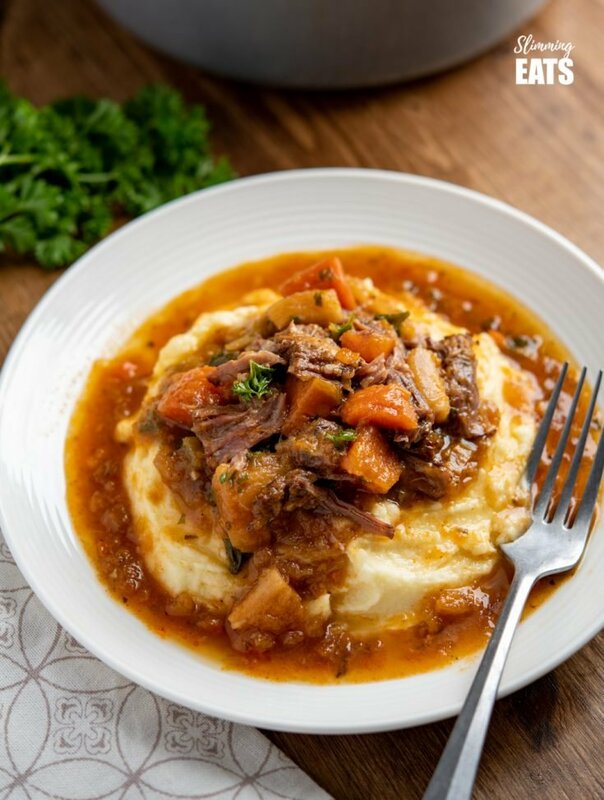 It was a regular on the stove top, usually simmered for hours to really develop all those lovely flavours and make the oxtails so delicious tender. One of the best memories, was grabbing a mug, dunking it into the huge pot on the stove, just to scoop up some of the amazing broth to sip on. It was perfect on a freezing cold winters day, when you needed something warming and comforting. The past week has been quite an emotional one. Wednesday marked one year exactly since my mum passed away. When we miss loved ones, we often crave familiar food that makes us feel close to them and of course for me it just had to be a pot of Oxtail Stew. Hubby took me out for a drive to the county near where I live in Ontario, Canada where we went to a lovely little coffee shop. Nearby is my favourite butcher ever that sells all locally reared meat which is grass fed and pastured. I knew if anyone would have some oxtails available it would be there. The butcher selected me the most beautiful cut of oxtails I have seen, which I knew would be perfect for a big pot of hearty Oxtail Stew. Oxtails unfortunately will not be syn free, because the are not an extra lean cut of meat, and trying to trim off the fat, will just make it pointless buying them in the first place. 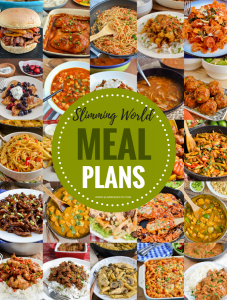 But even with them not being syn free, they are easily added into the plan using a few syns and total worth it too. 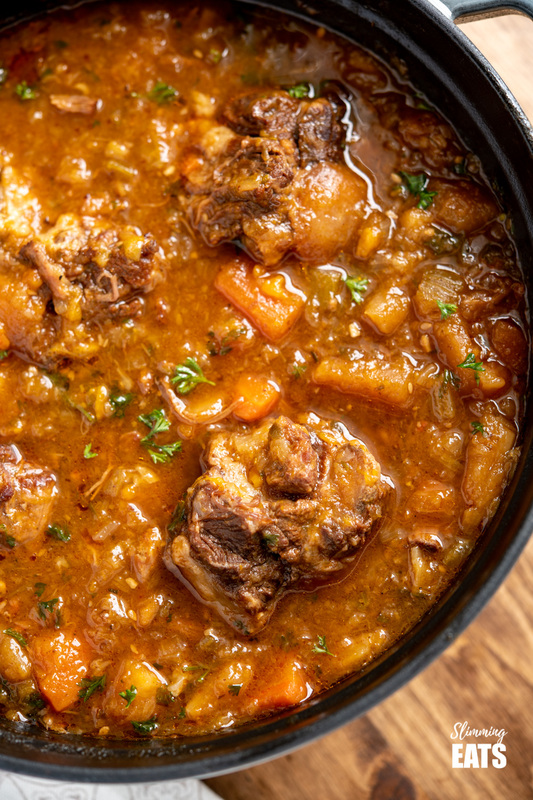 Just 4 syns for a comforting bowl of this delicous Oxtail Stew – not bad eh? Along with the oxtails, I grabbed some local fresh free run brown eggs, and some of their sausages of the week – honey and garlic and spicy Greek Style. In the summer when barbecues are more regular they have an even better selection of sausages and burgers. Not the lowest in syns of Course, but still fitting into the plan if you save your syns for the day. Making the oxtail stew, I decided to cook it in my Instant Pot. I wanted to replicate all those flavours that mum would get by simmering it on the stove all day, but in a minimal amount of time, so I could have it on the table for dinner. 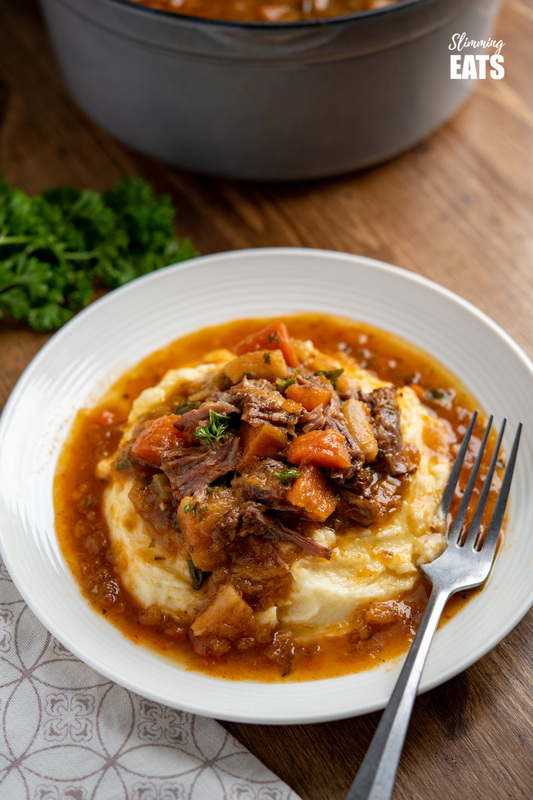 The Instant Pot is perfect for that – deliciously tender oxtails in 45 minutes. Perfect!! 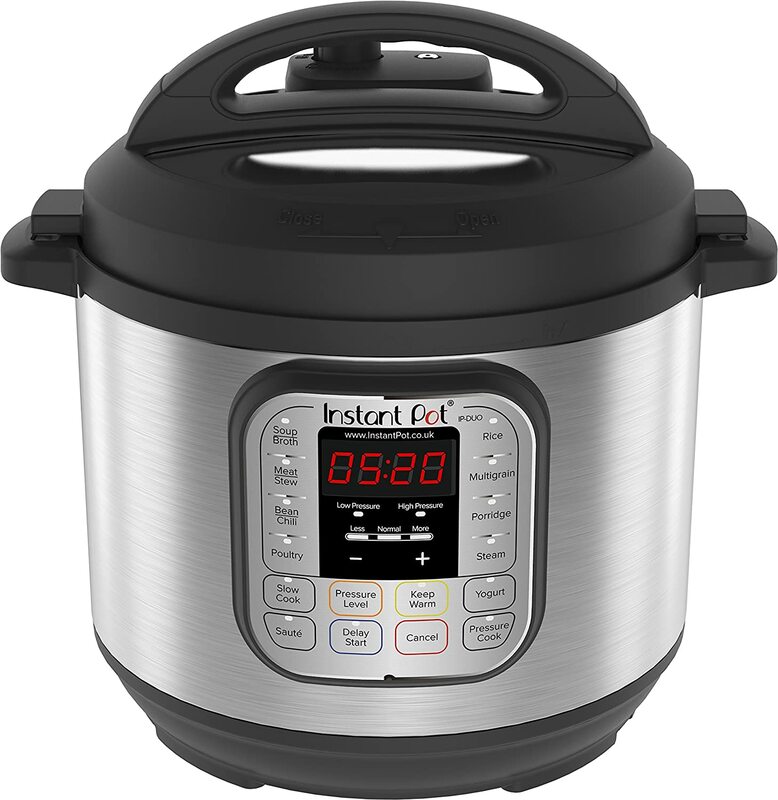 Wondering what an Instant Pot is? 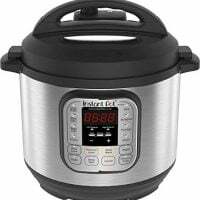 Instant Pot is a brand of multi-function pressure cooker. It’s one of my favourite cooking appliances. I love this thing so much, that I almost use it EVERY.SINGLE.DAY. It is basically a 7in1 cooker, and it slow cooks, pressure cooks, saute’s, has settings for soup, chilli, rice, porridge and even makes yoghurt. 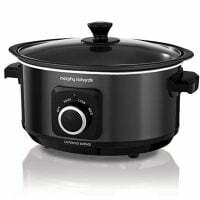 Don’t worry if you don’t own any pressure cookers, this can also be cooked perfectly in a slow cooker. Perfect for adding into the slow cooker at the beginning of the day to have on the table come dinner time. Wondering what to serve it with? I just love to spoon it over my amazing BEST EVER Syn Free Mashed Potatoes, because it’s heavenly with that yummy broth from the Oxtail Stew. 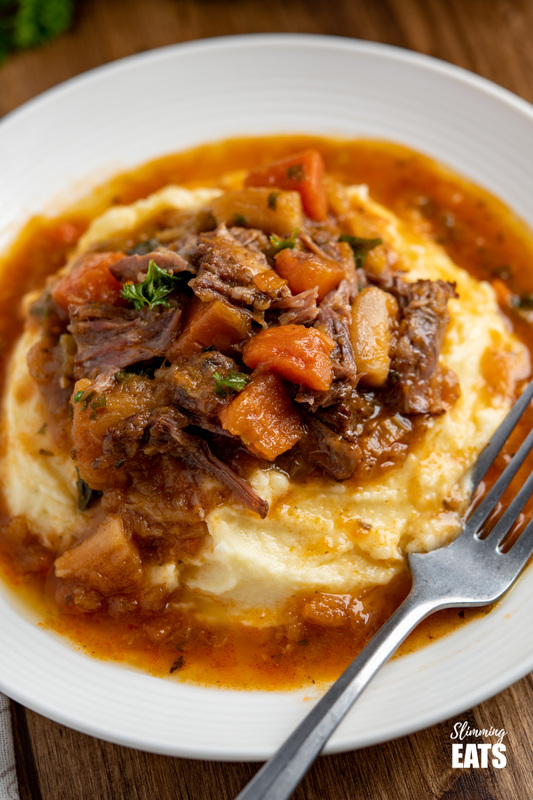 What about the 1/3 speed food in the Oxtail Stew? This oxtail stew comes packed with vegetables like leeks, celery, carrots, swede, onion. I also use sweet potato as the kids love the subtle sweetness it adds. It is not a speed food, but of you prefer you can swap it for butternut squash, which will increase those speed foods even further. Another option is to serve it over this yummy Cauliflower Mash. You won’t even notice it’s not regular mashed potatoes, it tastes sooo good. Place the oxtails on a baking tray, season well with salt and black pepper and place under the broil/grill for approx 4 mins on each side, rotating to get an even browning. (you can brown in the Instant Pot on sauté mode if you prefer in batches, but I prefer this method as you get a better browning to the meal which improves the flavour). Set instant pot to saute mode, spray with cooking oil spray and once it displays hot, add the onion, garlic, celery and leeks and saute for a couple of minutes to soften. Add in all other veg, stock, tomato paste, fish sauce, vinegar and dried herbs, along with the oxtails (and any juices off the meat) and stir to combine. Add lid, close valve (if not self sealing), set Instant Pot to manual high pressure for 40 minutes. Once instant pot finishes cooking, let the pressure naturally release, then remove lid. Place the oxtails on a baking tray, season well with salt and black pepper and place under the broil/grill to brown well, rotating to get an even browning. Fry the onion, garlic, celery and leek in a frying pan with some cooking oil spray until softened. Cook on low for 8 hours until the meat is tender and falls off the bones. 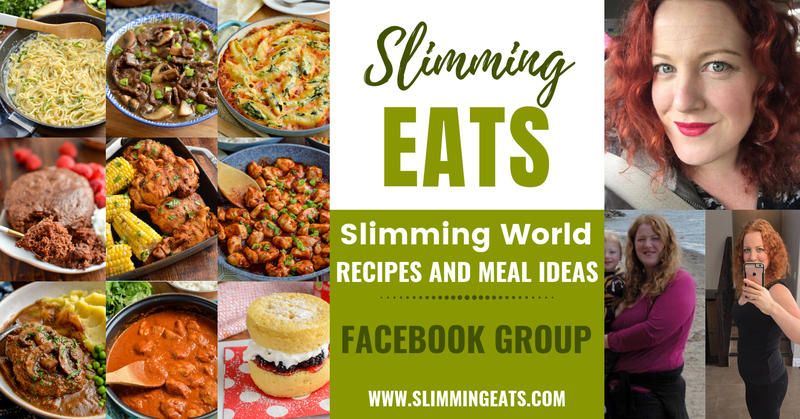 This recipe is gluten free, dairy free, paleo, Slimming World and Weight Watchers friendly. To reduce some of the fat in the broth, I will often make this the day before I want to eat, it, chill and then skim the set fat off the top (you can also use a fat separator jug). This is a broth type stew, if you prefer a thicker stew, add 1 tbs of cornstarch (or tapioca or arrowroot) at the end and heat till it thickens slightly - don't forget to syn this if you do.